This year looking for sponsors to help us donate 5K (Five Thousand dollars) to St. Jude when I participate in the 5K run this September. We participated last year and had a blast, this year will only be better. We even have a team ready to run with us. All proceeds from the book sales will be used towards reaching our goal. This is a great resource that so many people need to assist them with navigating through the emotional side of any type of diagnosis. So if not for you, grab a few for friends. Click on the link and purchase your copy today. We will even deliver it to the charity/person of your choice, just provide the address. How Important is a Good Resume? Consider the tone of voice. How your resume is written is just as important as what you put on your resume. The layout and language used is extremely important. Find a balance between professionally stating factual information without being too clinical and impersonal. Remember the purpose of the resume. Your resume will get you to the interview because it made the employer want to get to know you better. Your resume needs to tell your story in a quick, clear and concise manner. Customize your resume. When it comes to resumes, one size does not fit all. Tweak your resume to relate to the specific position you are applying for. You may have an extensive skill-set, make sure you emphasize your strengths that meet the needs of the specific job. Employers don’t want to know why you are a good employee in general, they want to know why you will be great for that particular job or company. Don’t forget to have someone proofread your resume and correct grammar and spelling mistakes. You are great, let your resume show off your greatness! Leave your questions and comments below. I am so excited about all that God has in-store for you in 2016! 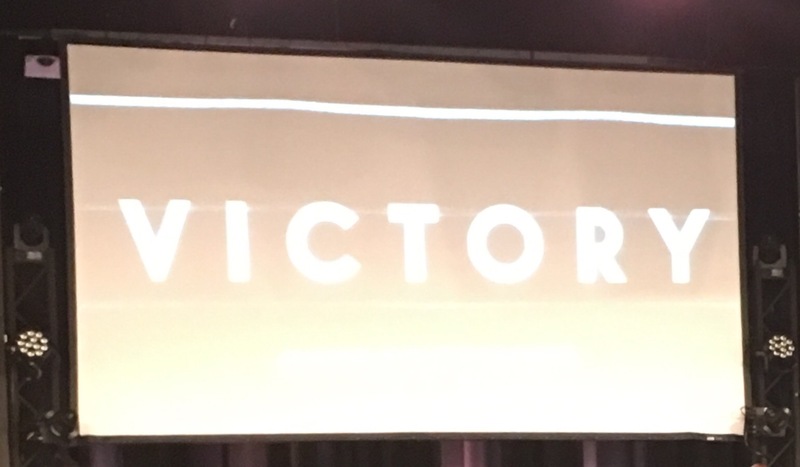 2016 has been declared our year of VICTORY and we are more than ready to have victory in every area of our lives. One thing that I have been so excited about at VIBE Church (Victory in the Believers Experience) is that we have all successfully developed a healthy church culture which consistently lives out our motto “We are making a difference and we love it!”. The Lord has allowed our motto to become a reality for us in a huge way in a very short time. As we continue to make a difference, the opportunity has come for us to do it on a much larger scale. It is my awesome privilege to announce that January 3, 2016 the VIBE Church will be merging into World Overcomers Christian Church -Raleigh Campus! We are more than excited about taking our Gifts, Talents and Treasures to make an even greater impact in the Kingdom with other like-minded believers. My sincerest hopes are that you would join with us as we jump in at our NEW CHURCH HOME, World Overcomers Christian Church- Raleigh Campus. Lets continue making a difference while experiencing VICTORY in 2016! 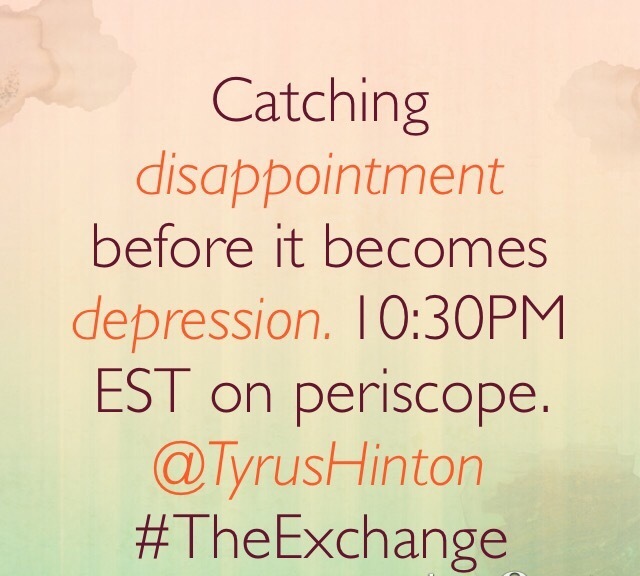 Join me tonight at 10:30 on Periscope. Burning Bridges – DON’T DO IT. I wanted to speak with you for a bit about burning bridges. DON’T DO IT! In my younger years I would cut people off at the drop of a dime. It didn’t matter the rhyme or reason. I soon learned a valuable lesson and I’m going to share it with you: “Times change and people do to.” To add to that, those same people could very well be the ones that you will need later. So as a life rule I never burn bridges. So you may ask, “How do I remove people out of my life that are negative for me?” Well I’m glad you asked! Instead of burning the bridge, how about create more space in between you and them. The only way people can bring negativity to your life is if you give them access. It they don’t have access they can’t affect you, UNLESS you were the issue in the first place, but that is another blog for another day. Creating space isn’t a bad thing, and it’s easier to do and can salvage a relationship that could possibly be a benefit for you in the future. Here is someways to create more space between you and an individual. Structure conversations. If you absolutely have to communicate with this person on a regular basis, then you lead the conversation. Only talk about what is necessary, don’t allow the content to drift into areas that are too personal. This doesn’t mean you have to be rude, but be firm on handling business when dealing with them. Set a time limit. Since the Holidays are coming up, let’s use this example. If you know that every time you go over a certain family members house, the visit always lead to a negative experience then set a time limit. Before you arrive set how long you will stay, and when that your time is up, give everybody a warm salutation and leave. This will lessen the chances of overstaying and giving room for something to go wrong. Set expectations. Don’t allow this person to cross certain boundaries and when they do communicate that to them as much as it takes until they stop, and are fully aware not to cross your lines. Don’t allow people to wreck havoc in your life, but at the same time don’t be in the habit of burning bridges. Managing people is like managing money, you have to know when to invest, save, and/or spend. Have a good day folks! I Just wanted to have a quick and candid Saturday conversation with you about how being so “consumed” can really mess with your goals. I remember in November/December of 2014, I had set some personal goals to have accomplished by close of 2015. As a read over my list of goals, I realized that I had only accomplished one and that was not even to its fullest potential. I remember saying that I would weigh about 180 pounds, I would complete my property manager certification, complete at least two of the books that I had already written for print and publishing, enroll in the Masters in Divinity program again (2nd time) and upgrade all of my private family stuff. Well, you might say “at least you are still here” and to that I must agree and say “only by the grace of God”. I had gotten so consumed with my workplace advancement (1goal) and advancement in the marketplace, that I completely neglected to keep pursuing those other goals that would have secured and solidified me on another level. While this has been an amazing year, it has also been an eye opening year. Let’s see…… I began the year with a very interesting workplace dynamic which included extremely long days and multi tasking upper management task in their absence for a couple of months, had the flu and pneumonia for the first time ever, then was injured after the recovery from the flu, completed the property manager course and then was full of heavy medication the day of the exam due to injury (so you know how that ended up), had the challenge of learning how to live on disability pay for 3 months, suffered major family loss during the summer only to return to work to be laid off within 60 days. The problem is not the events, that’s just life happening. The problem was that the thing that consumed me the most actually got rid of me when there was no longer a need or use. I was so busy with one goal that I totally neglected the others. As you come to a close of 2015, take a look at your journal or personal notes from January 2015 and compare them to your now. If you have accomplished all of them, then challenge yourself more for 2016. If you are like me and have not, then map it out! Be more intentional about everything and not just one thing. It’s okay to pursue goals, but please don’t allow just one to consume you so much that you neglect all the others! Both of us will have an amazing and goal accomplishing 2016 because we are vowing today not to be consumed by any one thing! Join the conversation and leave me a note or comment. Talk soon. Have a great weekend my friend! What a week it has been for me! While I have enjoyed inspiring all of you through blogs, encouraging text, and social media status’ I have had some challenges of my own to deal with. I have had many things to grab my attention from several different directions. Even through my challenges, I try to find a way to be thankful! Here are 3 things that I am thankful this week. My mom has been in the hospital for the last 93 days. Yesterday, for the first time the nurse and medical assistant got my mom out of bed and allowed her to sit in a chair. Talk about clicking heels and stomping with praise! On many of my previous visits at best they would sit the bed up high, but yesterday as my mom sat in the chair I talked with her and even got a little smile out of her. Its HUGE to me! I felt like she was out of bed just for me! On a weekly basis we make this declaration during our time of giving at Vibe Church. As I left work Thursday evening, I began to really thank God for a place to call work. In a time when many are looking for jobs and having major struggles, Im so thankful that I am gainfully employed. I am a giver and have a clear understanding that one has to have in order to give. My children and the best and the worst all at the same time. lol But seriously, when you have buried one of your children it changes how you view them. Im so thankful that my children are healthy, focused and working hard at accomplishing their own goals that they have set for themselves. In a time when marriage is not taken very seriously, Im so thankFUL that my wife and I are about to celebrate our 20th wedding Anniversary. Its pretty cool to have someone to do “life” with. We have had all kinds of days; great, good, bad, broke, days of plenty, sad times, happy, exciting, fun but most off all we have made it through the test of times and preparing for the greatest days ahead. 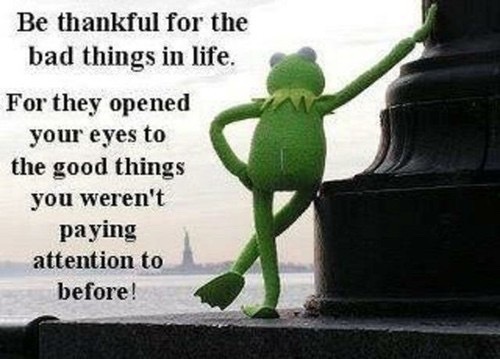 I have honestly noticed that being thankful really helps lift some stress out of our situations. Think about it, review your week and see how many things you can come up with that you are thankful for and make your way to a church tomorrow and rejoice with other brothers and sisters.